Spring has finally arrived! It may be nearly a month since the official start of spring, but with the trees blooming, flowers blossoming and warmer weather, it finally feels like spring. 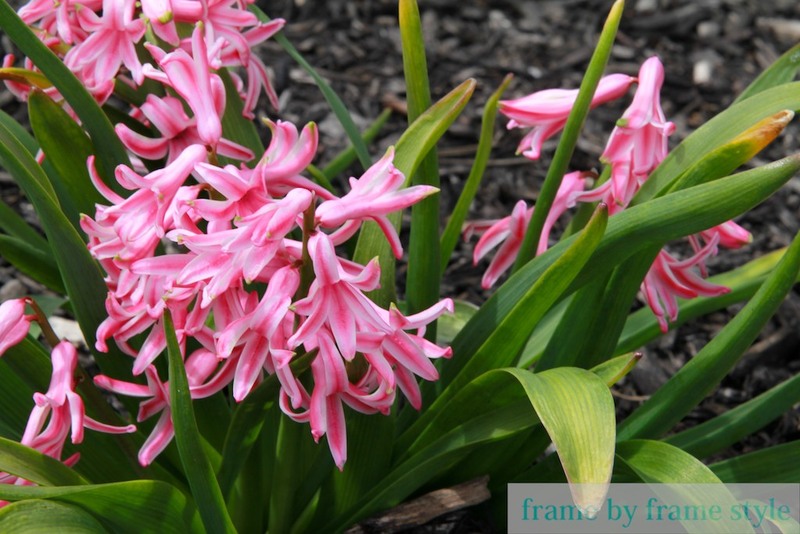 And with spring weather, comes spring flowers! 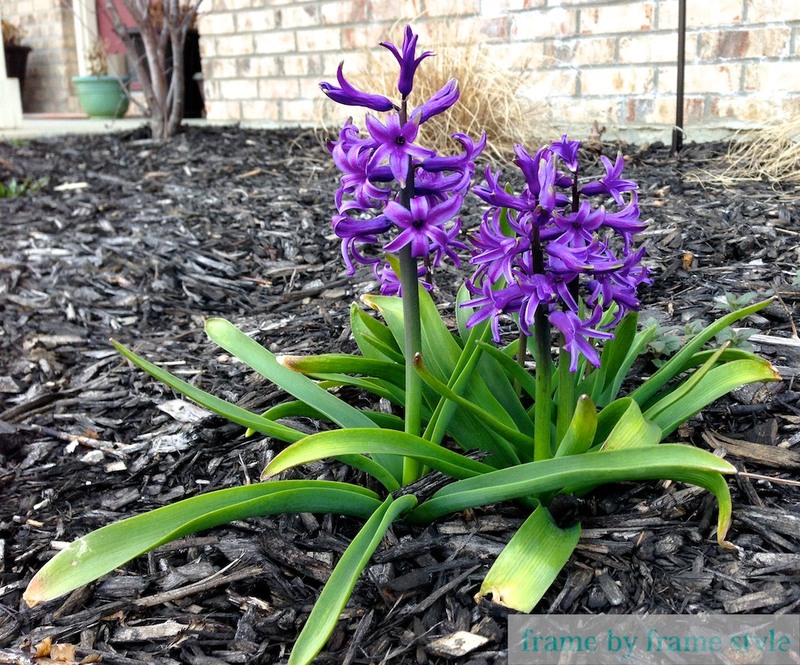 Our hyacinths are back and in full bloom. 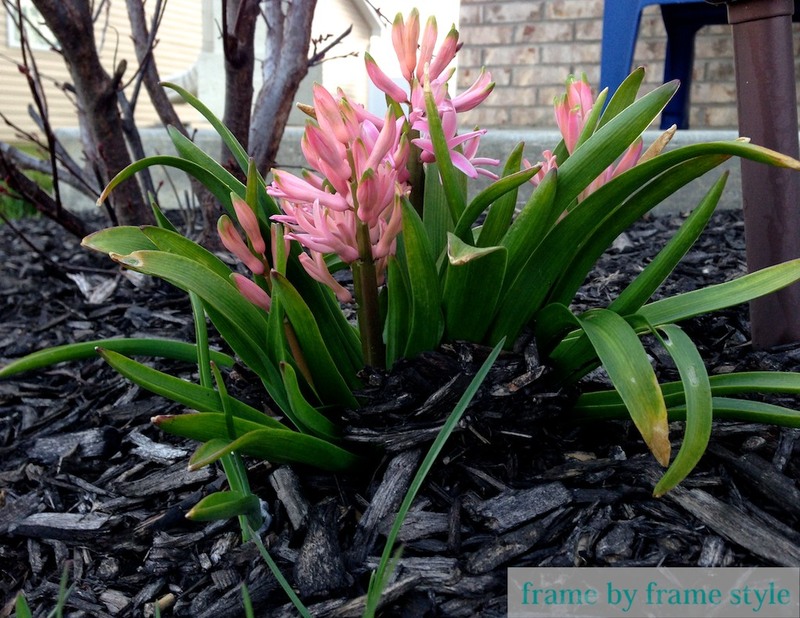 A few weeks ago, I noticed that our hyacinths were starting to peek out of the ground. I was really worried they wouldn’t survive the late winter snow storm we had in March, but they persevered. 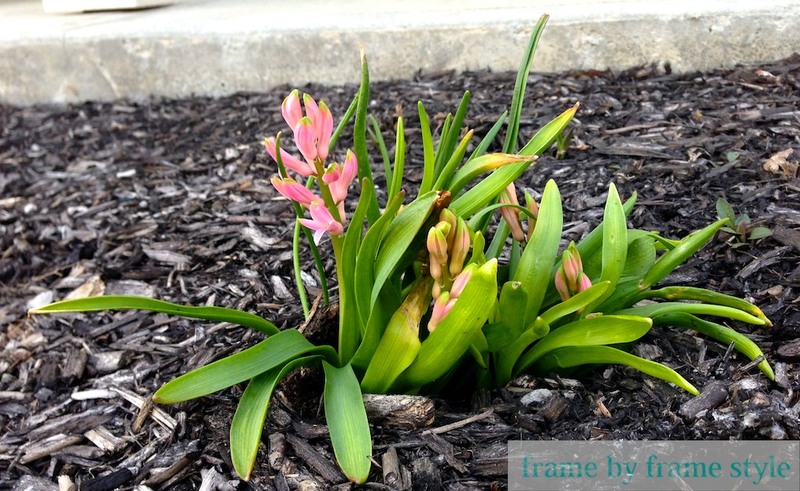 Last week, the hyacinths’ buds were starting to pop open for the first time. Now they are in full bloom! 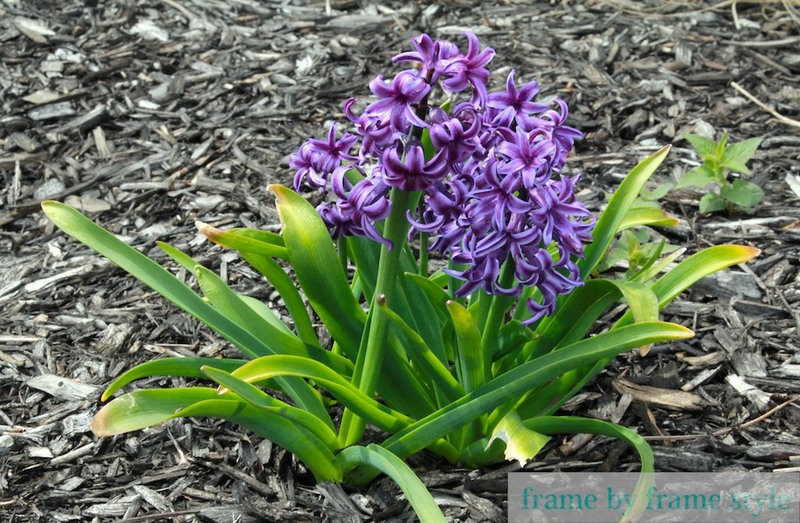 This is the third season for our hyacinths. 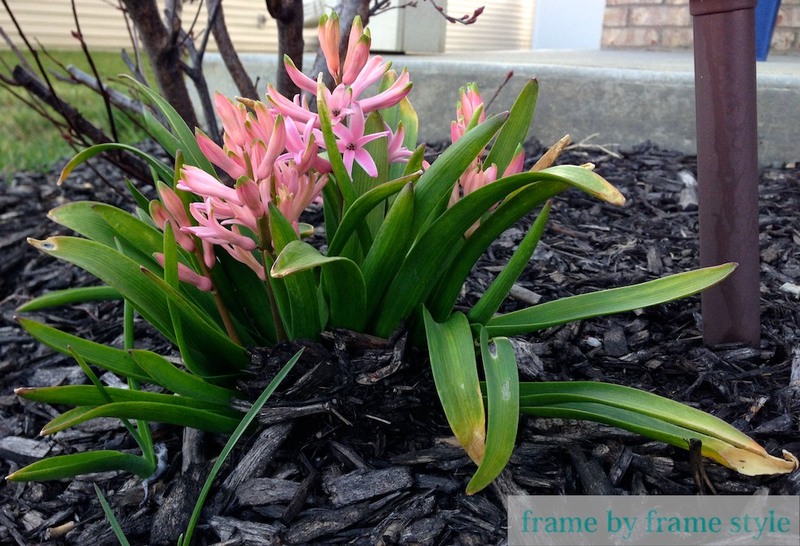 Two years ago, I planted them as full-grown flowers and each year they’ve come back. 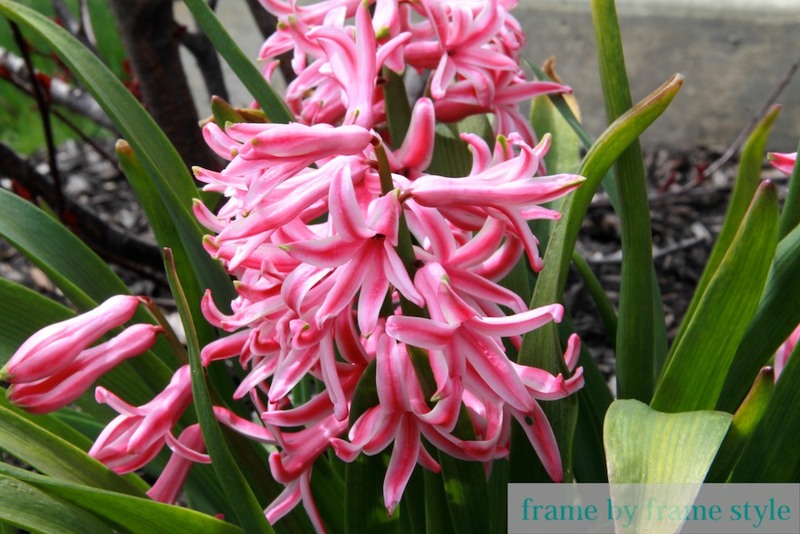 This fall, I might add a few more bulbs so next year we have a full row of hyacinths and tulips. I planted a few tulips when I planted the hyacinths, but I’ve only had luck with one tulip coming back each year. 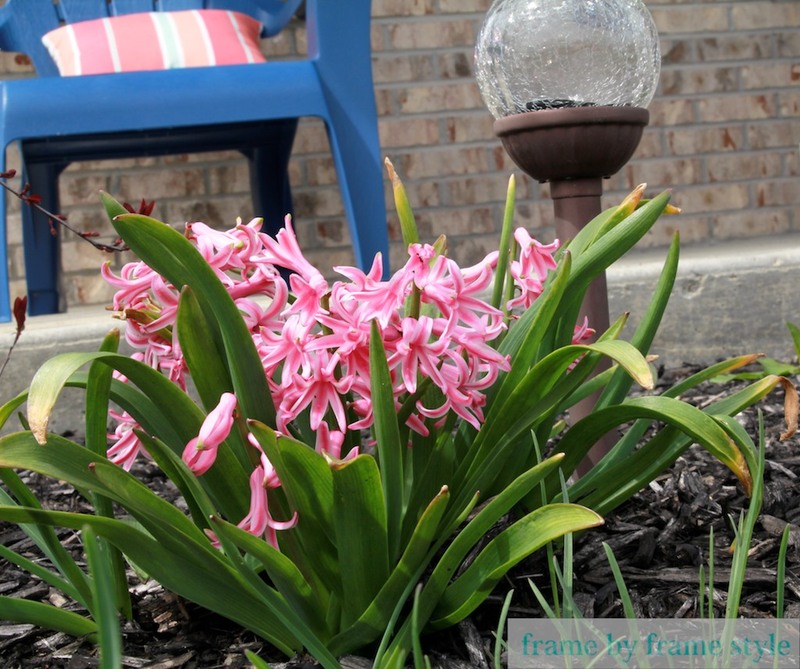 Time to add a few more bulbs and see if they make it through winter. I had great success with the petunias I planted last year. Despite the severe drought, they spread across the garden and were really beautiful. Last year we added a layer of mulch to our garden, but after several rain storms, it’s time to mulch again. 3. Plant a vegetable and herb garden in the backyard. 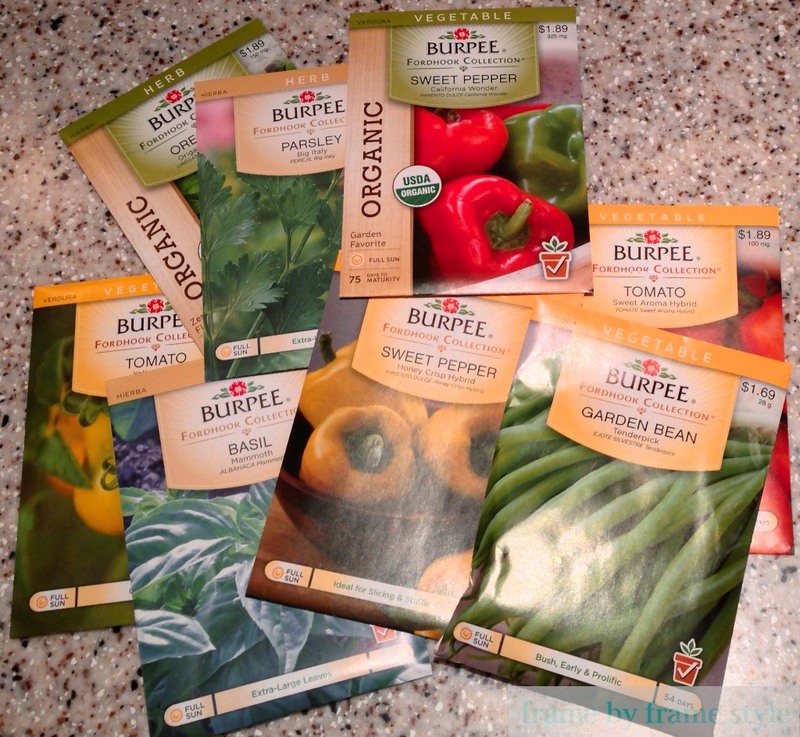 I’ve got big plans for a vegetable and herb garden this year. 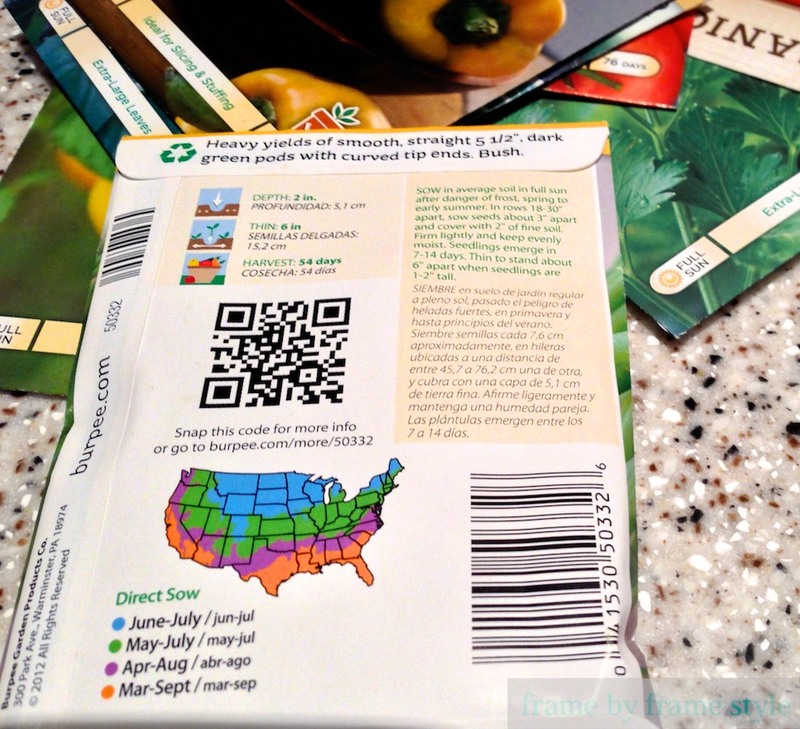 I picked up these seeds at Target and it’s almost time to start planting them! BJ and I enjoy cooking with fresh vegetables and herbs and we’re hoping that if all goes well, we will have many homegrown veggies and herbs to choose from! 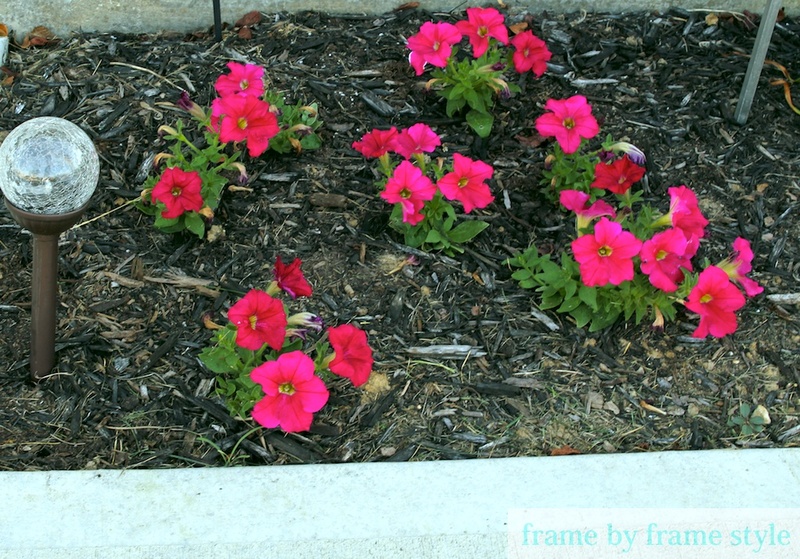 There are a few more items that BJ and I thinking about adding to our garden list for the year, such as edging the gardens with stone, but for now, we are going to focus on our first three items and add more as we go. Do you have any big plans for your garden(s) this year? 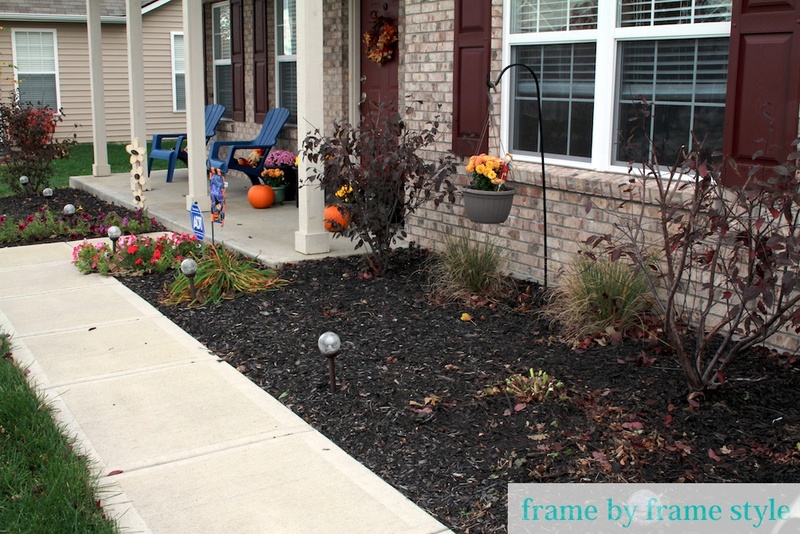 This entry was posted in DIY, outdoor and tagged DIY, Flowers, gardening, gardens, Green, herbs, hyacinths, mulch, Outdoor Living, outdoors, outside, petunias, plants, Spring, Summer, vegetables by Frame by Frame Style. Bookmark the permalink. This is my first spring in my home and my first time seeing where everything begins to bloom. I absolutely love it. 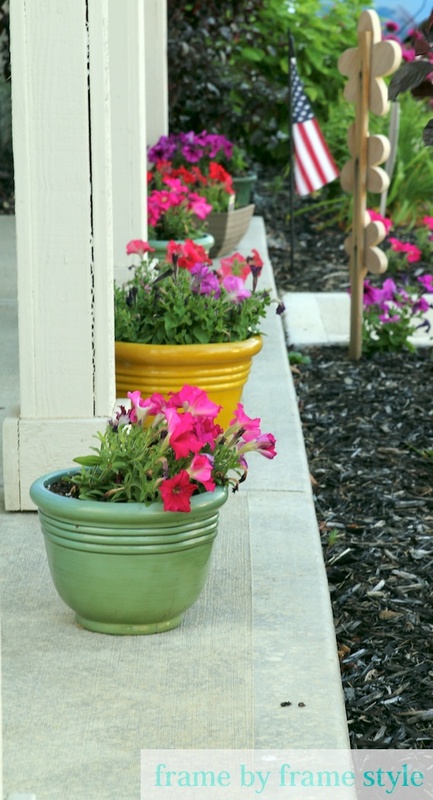 All the flowers are beautiful-I love the petunias. I think I will plant some thing year.